Temperatures have been above 35 degrees in some areas in Kanto Region. We are struggling to balance saving on electricity with preventing the onset of heat exhaustion. 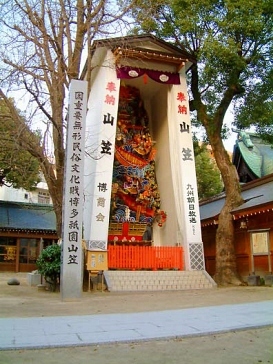 Hakata Gion Yamakasa(博多祇園山笠）is the festival held by Kushida Shrine(櫛田神社) in Fukuoka City in the Fukuoka Prefecture from July 1st to 15th. The climax comes on July 15, when nearly-naked men swiftly draw eight decorated floats. It's called Oiyama(追い山). 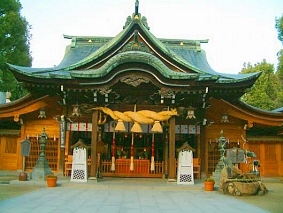 According to one popular theory, the festival started in 1241 when Buddhist monk Enni(円爾,1202-1280) who studied in China poured sanctified water around town while praying for an end to diseases. His posthumous name was Shoichi Kokushi(聖一国師). In 1687, an accident occurred in which one float left behind another one during break time. The two floats chased each other back and forth. That match race went down with people. So decorated floats came to rush through street. 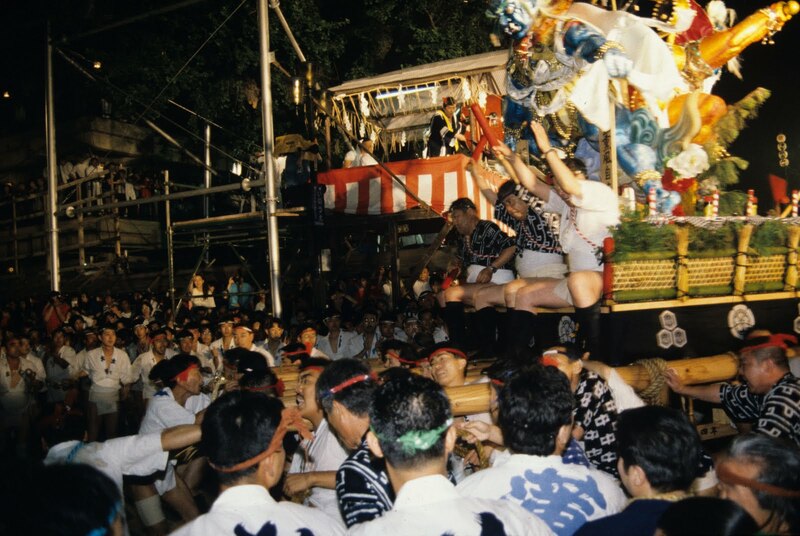 A festival called Tohoku Rokkon-sai(東北六魂祭) is being held in Sendai on July 16th and 17th. 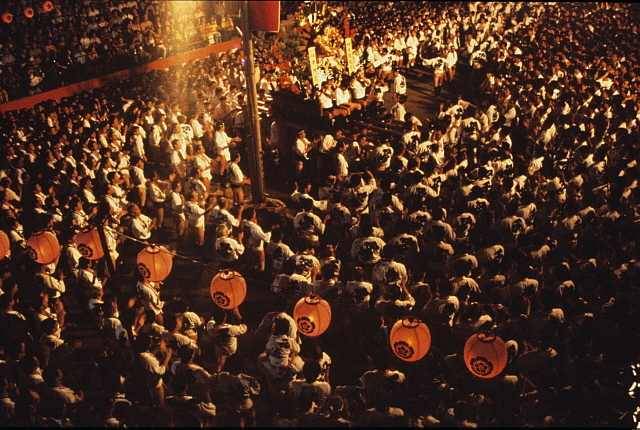 The festival is held to liven up Tohoku Region and encourage people to come and see six major festivals in Tohoku Region including the Aomori Nebuta Festival(青森ねぶた祭), the Akita Kanto Festival(秋田竿燈まつり), The Sendai Tanabata Festival(仙台七夕まつり), the Yamagata Hanagasa Festival(山形花笠まつり), the Morioka Sansa Odori Festival(盛岡さんさ踊り) and the Fukushima Waraji Matsuri Festival(福島わらじまつり). You can see these festivals at once. Visitors poured in to enjoy the festival from all over the country, so the Aomori Nebuta Festival and the Akita Kanto Festival were cancelled for the safety of visitors today. 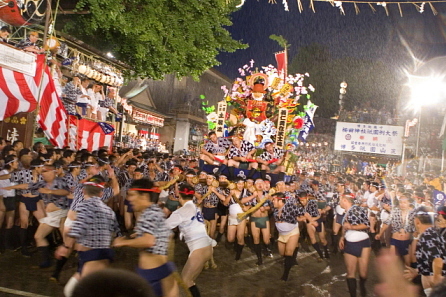 There are so many festivals in Tohoku Region and many of them are held in August. These six festivals will be held as usual this year.